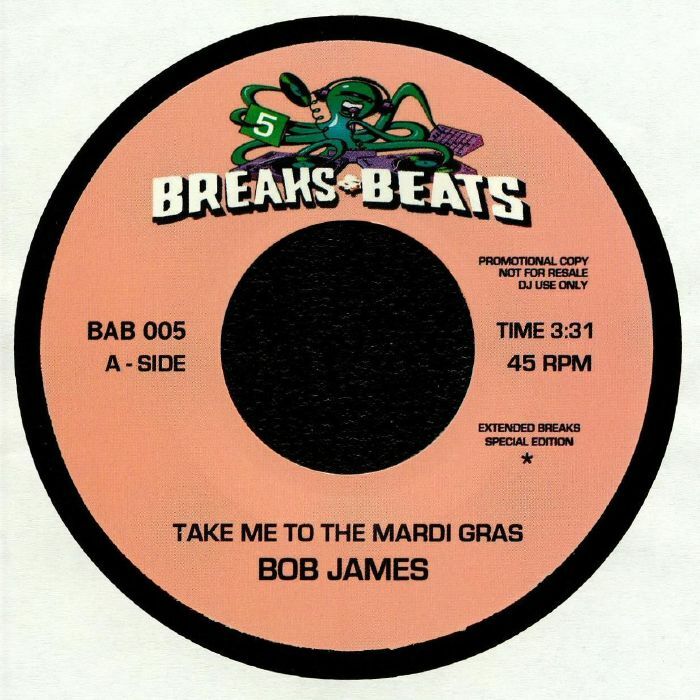 The Beats and Breaks series of "Extended Break Edits" has so far succeeded in its stated aim to provide DJs with simple but devastatingly effective rearrangements built around lengthening key percussive packages. 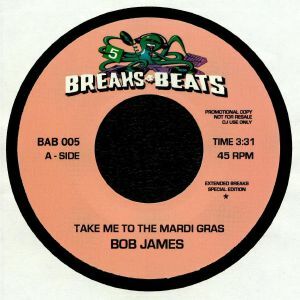 The mystery editors behind the series are at it again here, first looping up the distinctive, cowbell and triangle-driven drum passages dotted throughout Bob James' classic "Take Me To The Mardi Gras". 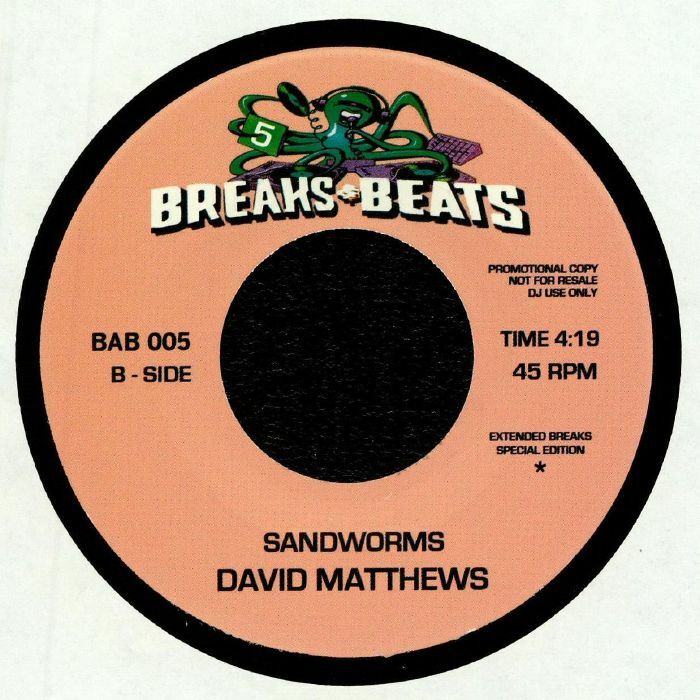 On the flip, they take their scalpel to David Matthews' 1977 jazz-funk gem "Sandworms", casually making merry with the proto hip-hop beat, rubbery bass guitar, flanged guitar riffs and snaking saxophone solos.